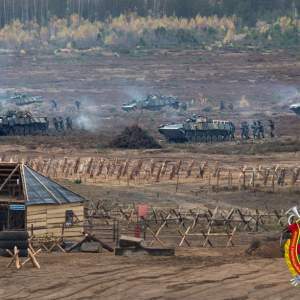 On 15 December, the Belarusian army’s media outlet, VaenTV, reported of tank units training to shoot at an unusually long distance—six kilometres. Few post-Soviet armies use this ‘high angle fire’ method, said VaenTV. The news illustrates one of the ways the Belarusian military attempts to compensate for its lack of funds for new equipment. 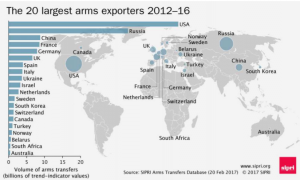 It is intensifying training to make better use of available arms. This approach can be seen at all Belarusian army training levels. Minsk is also reforming its armed forces to address its domestic and regional concerns. New drill scenarios resemble urban conflicts in Syria and Ukraine. 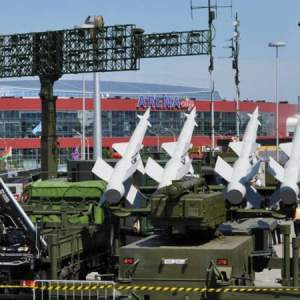 To meet all its needs, Minsk has developed its own system of military education autonomous from Russia. The intensity of the present training regime can be seen in the recent activity of the Belarusian Special Operation Forces (SOF). Belarusian army considers the SOF as a key segment of the army. From January to November, the relatively small SOF (three brigades with some minor units numbering five to seven thousand personnel) conducted eight independent battalion-level tactical exercises. Five of these exercises employed live ammunition. 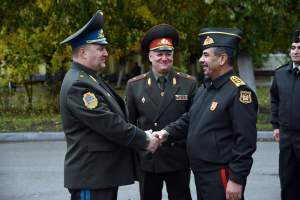 In addition, there were five joint battalion-level tactical exercises with Russian troops. In January to November, the SOF also held a brigade-level exercise with Russian troops in Belarus’s northeastern Vitsebsk province, as well as some international drills with Russians and Serbs in the southwest province of Brest together with other CSTO countries, including Armenia, Kazakhstan and Tajikistan. It is not clear how the intensity of training has changed in recent years, but SOF Commander Vadzim Dzyanisenka says night-time drills made up 70 per cent of all his troops’ exercises this year. Last year, the figure was just 30 per cent. Thus, while observers have been discussing the West 2017 exercises as invasion preparations of neighbouring NATO states, Minsk has been more actively training its troops in other drills for rather different purposes. The latter’s programme demonstrates the Belarusian army has other priorities from the West 2017 exercises. At an ideology seminar for Belarusian army officers in November, the Head of Ideology Department Alyaksandr Hura elaborated on these priorities by emphasising the necessity to train troops to fight in urban areas. “The experience of conflicts in Africa and the Middle East shows that after conquering two or three big cities, an aggressor gained full control over the entire country,” said Hura. Talking to Spetsnaz, a Belarusian military journal, SOF First Deputy Commander Viktar Hulevich on 30 October also said that the defence minister had ordered the SOF to focus on preparing for urban warfare. He referred to Syrian war, yet he could as well recall the nearby conflict in Eastern Ukraine. Recently, a mock-up of a town was constructed at a military training camp near Baranavichy. Not only special forces, but also ordinary units have begun to train for urban warfare there. Meanwhile, in 2015, warrant officer (above the rank of sergeant but below the rank of lieutenant) training programmes were shortened from five to three months. Arguably, this hardly helps to improve the skills of these service men and women. Even more uncertain is the situation in the Belarusian system of military education, although, there are some positive developments. On the one hand, Minsk seems to work on supplying its army with properly-trained personnel. 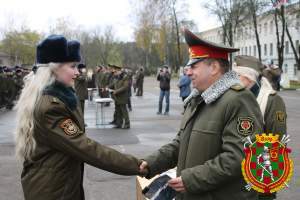 This year, about 800 officers graduated from the Belarusian military academy and military faculties at universities. On the other hand, it remains unclear how many officers stay in the army after completing their obligatory contracts. Still, Belarus had unquestionable achievements in developing military education in recent years. It has become the sole post-Soviet country to succeed in establishing a national system of military pilot training. Belarus inherited no military pilot schools from the Soviet Union. It bought proper training aircraft only in the mid-2000s. Until 2006, Belarusian military academy pilots went to Russia even for flying practice. Now Belarus trains its own military pilots. Training has also improved over the years. In 2016, the average pilot graduate completed 220 hours of flight practice. This is almost triple the 80 hours of training pilots on average completed in 2008. Today, Belarusian army pilots in active service also train more often than even a decade ago. In 2016, Defence Minister Andrej Raŭkoŭ announced that average annual flying time of a Belarusian army pilot is 70–75 hours. At first glance, this number seems high. After the collapse of the Soviet Union, Belarusian army pilots seldom flew. Even in the mid- to late 2000s, pilots flew about 30 hours per annum on average. By 2011-2013, the annual average flying time reached 60 to 80 hours per pilot. But then the situation stalled and no further growth in flying time occurred in recent years. Indeed, in Soviet times, a military pilot flew more—as much as 120 hours a year. The Russian air force has more or less returned to this in-air-time intensity. 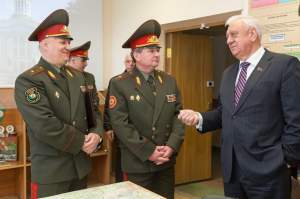 Have all top Belarus army commanders studied in Moscow? Another achievement in the field of providing the national army with qualified specialists involves education for military professionals of all levels. The small number of Belarusian officers who are currently studying at Russia’s General Staff Academy—six in total—illustrates how autonomous has Minsk become in the field of military education. Belarus’s Military Academy established its own General Staff Faculty in 2006. The low number of Belarusian officers studying in Moscow’s Academy—in fact, three officers for each year of studies—means that Minsk is training officers on its own ground. In comparison, the other seven CIS states send in total 25 officers to be educated in Moscow. Even a brief look at Belarus’s military establishment proves the situation is far from conspiracy theories, which claim that Belarusian generals are indoctrinated through studies in Russia. Defence Minister Andrej Raŭkoŭ, indeed, did graduated from Moscow’s General Staff Academy. However, he did so before its analogue was established in Minsk. 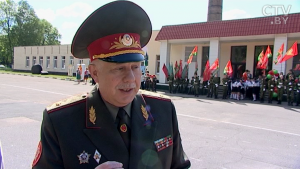 General Staff Head Aleh Belakoneu, on the other hand, did graduate from the Belarusian Academy’s General Staff Faculty. In the past decade, the Belarusian government has paid considerably more attention to training its armed forces. While its policies may contain some contradictions, the army is now more prepared to fulfill combat tasks compared to even a decade ago. Minsk has also succeeded in establishing its own system of military education, which address the particular needs of its domestic context. Moreover, the graduates of this education system already occupy certain key positions in the army.